I got to play today! My Like It A Latte set came in yesterday and I couldn't wait to get it out and play!!! I drove to my sister Kim's house (she lives about 20 minutes away in a nearby town) this morning and we pulled out all of our stuff and stamped the day away. Kim finished her christmas cards and I messed around and came up with this card - I am pretty happy with the way it turned out. I just love playing with my tulip puffy paint and this is the perfect set to use it with - that whipping cream looks sooooo real! These colors are so great together! I had a few spare minutes to get on the computer (me and Kim are headed to El Chico's to eat dinner - woohoo). 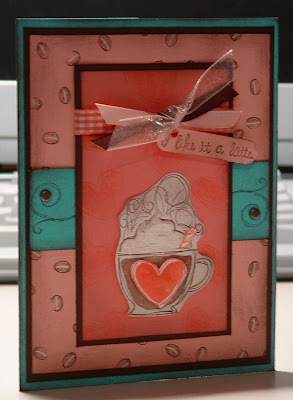 I am going to do more stamping tonight, so I am more than sure I will have more goodies to post tomorrow! Tammy and I had a great time last night at her house - stamping, eating and of course chatting! She made THE BEST taco soup I have ever had - I think I must have had three bowls! 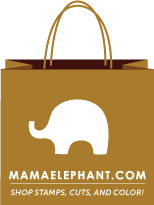 OH AND BTW I wanted to share with all of you that I got my Stampin' Up! Demo paperwork completed last night while I was at Tammy's house!!!!! yes, that is right I am ALMOST OFFICIALLY A DEMO! I am so excited! I got up first thing this morning and took it straight to the post office and sent it off priority mail - they should have it by Tuesday! woohoo! I had a great time last night picking out what stampsets and stamp pads I wanted in my kit! 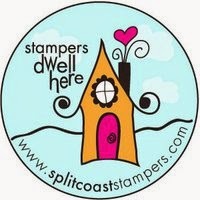 I can't wait to do my first Stampin Club! The color combination is great! I love this card. Best of luck in being a demo! Have fun with it! I love the colors of this card. Your creation turned out beautifully. Hope you had fun using your new goodies.